"ONLY 33% of individuals are engaged in their job and their organization." Does your organisation care about inclusion & diversity? Why? Who are the main focus groups in your diversity strategy? 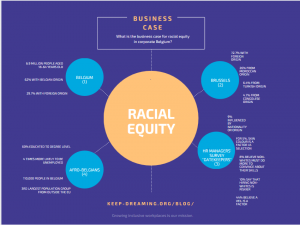 4 reasons and links to recent studies on the business case for 'Equity & Inclusion'. Make your diversity strategy and company culture more inclusive. Subscribe below and share your journey with us!